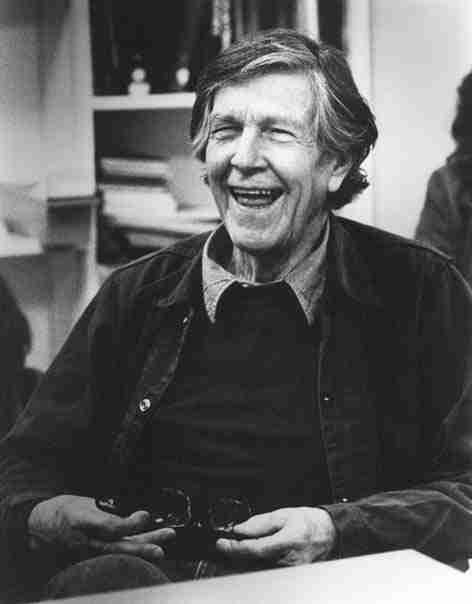 The music of John Cage represents "difficulty" in multiple ways. Firstly, there is the perceived "difficulty" in appreciating the music qua music. Potential listeners are alienated by the common (and simplistic) image of Cage as highbrow conceptualist, with nothing to offer those who come to music seeking pretty sounds, arranged prettily. This leads to a second difficulty, which is the difficulty a record company or an orchestra suffers in getting people to attend a Cage concert, or buy a Cage album. In 2000, one imagines modern-classical label heads gazing enviously at the sales figures for avant-garde jazz albums (themselves hardly flying off the shelves). The third difficulty, one exclusive to this release, is self-created by the pieces’ conductor, Petr Kotik. Cage’s composition 103, which forms Discs Three and Four of this four-disc box, contains in its score explicit instructions that there is to be no conductor. This was likely rooted in Cage’s fascination with Zen, and chance, and his attempts to liberate music (and, indeed, the entire conception of what constituted "music" at all) from traditional strictures. But whatever the reason, one must accept that to an artist like Cage, for whom concept was primary, instructions must be obeyed to the letter, otherwise the theory underpinning the piece is lost, and it is no longer the piece that was composed. Petr Kotik has taken it upon himself to conduct this recording of 103. He justifies himself in a lengthy essay in the CD booklet, presumably to allay the outrage of the sixteen people in the world who are likely to be outraged by this. It still seems wrong, somehow, but the larger question emerges out of his departure from the instructions given him. That question is: how does it sound? This is, after all, a recorded piece of music, not merely a text to be interpreted. The truth is, 103 is a better-sounding piece than Atlas Eclipticalis & Winter Music (two pieces telescoped together and forming Discs One and Two of the set). The piece seems to consist of single note solos, played in varying sequences and at varying duration by each of the instruments of the orchestra. This should, in theory, be virtually intolerable, and yet it is not. It becomes not oppressive but soothing, and quite beautiful. Particularly when one attempts to distance oneself from the individual moments of the music, and view it as a large melody played very slowly, it begins to emerge in the mind like farmers’ fields viewed from a plane. A pattern emerges, and becomes hypnotic and highly pleasurable. Atlas Eclipticalis & Winter Music is a wholly different experience. The starkness seems much more forbidding, and uninviting, than the spaciousness of 103. Atlas is not a pleasant listening experience; it pervades the listener with gloom, and seems to lower the temperature in the room significantly as it plays itself out. At two a.m. in February, in northern Maine, it might be just the thing. It certainly seems to suggest frozen vistas of nothingness by its tones and their placement. But for all the controversy (if that’s not too strong) surrounding the circumstances of its creation, 103 is, for purely aesthetic reasons, the keeper here.